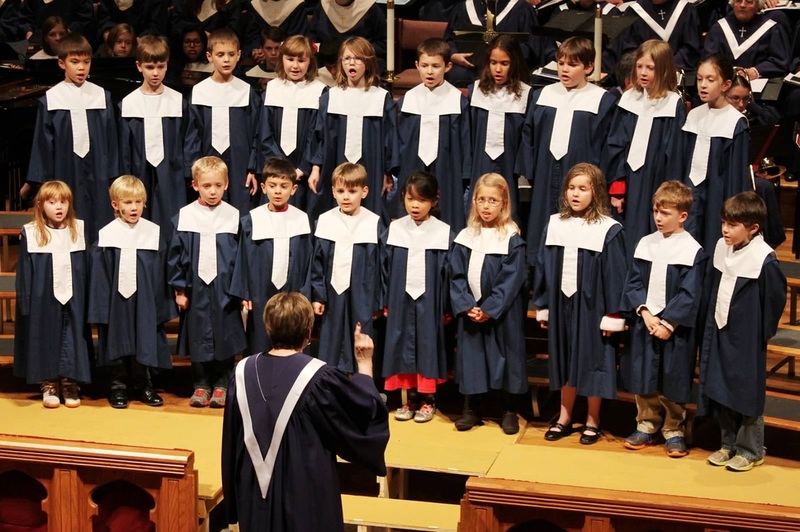 The Carol Choir is for children in grades 1 and 2. Music education continues with the use of actual anthems in the hands of the singers. Hymns and Scriptural songs are taught as well as the church year and parts of the worship service. This choir sings about six times a year. Third graders will express text, rhythm, melody and harmony through the use of unpitched and pitched percussion instruments (Orff instruments), movements, hand-chimes and recorders. Musical skills will be developed verbally in speech play and vocally with beautiful singing. Third graders who wish to be in Wesley Orffans must be active members of the Wesley Singers. Wesley Singers are children in grades 3, 4 and 5. Service to the church and worship participation are very important in this choir. Music education continues, as well as hymn study, study of the parts of the parts of the worship service and the liturgical year. This choir sings in worship once a month, participates in choir festivals and has occasional social events.